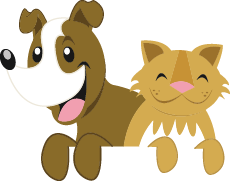 Dr. Monica is a graduate of the Michigan State University College of Veterinary Medicine. 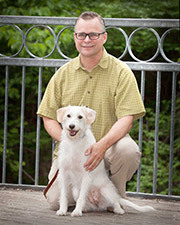 He joined Oakland Animal Hospital in 1989 and became a partner in 1998. He enjoys all forms of general veterinary medicine and surgery with a special interest in endoscopy and laser procedures. Dr. Monica graduated from Rochester Adams High School and has been active in the Rochester community for over thirty years. He currently teaches a veterinary science class to senior high school students and participates with Dinosaur Hill Nature Preserve. He is a member of the American Veterinary Medical Association, and Michigan Veterinary Medical Association. He and his family are residents of the Rochester community and have two dogs and one cat. He enjoys camping, kayaking and travel.